What makes your customers happy when visiting your restaurants and what keeps them coming back? Is it the quality and taste of the food? Polite and speedy service? Customer fulfillment, or lack of it, will ultimately affect your restaurant business in a significant way. Restaurant executives study reports pertinent to their specific departments (Finance, Operations, Marketing, etc.) but no matter their department, there are factors that overlap amongst these departments. One major issue is customer satisfaction. There are many variables that can affect customer satisfaction and by looking at the right information, restaurant companies can utilize a way to measure the key metrics important to executing a memorable dining experience for their guests. This is a report that examines items sold in conjunction with other items. Analyzing market basket is crucial for restaurant customer satisfaction because it tells you exactly what your customers are ordering and it contains specific details that are much more accurate compared to summarized menu mix analysis reports. A Market Basket analysis will reveal if a certain promotion was a success. 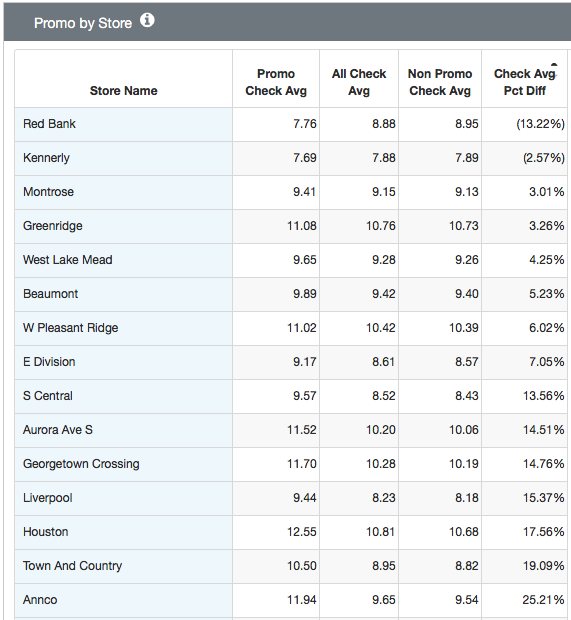 The analysis examines all the items sold with the promo item on the same checks. Sales might indicate that the promo was effective, but the market basket shows the total dollar amount in combination with other details, such as inventory, etc., leading you to see the bigger picture. Keeping the customers happy with speedy service is one of the most important aspects of your business. If there are consistent delays, be assured your customers will seek a better experience elsewhere. By analyzing your restaurant performance in this area, you can quickly pinpoint any issues and get them resolved in a timely manner. The popular belief is lower labor = higher gains. Not quite so. You might be sacrificing meeting customer demand in the meantime. Most restaurants have peak times, and for those time frames, managers need to schedule accordingly. Simultaneously, for slow traffic times, schedules need to be adjusted just the same. If managers tend to over or under staff just before or after their peak times, pinpointing these areas can greatly reduce overtime while simultaneously covering the busy time frames. 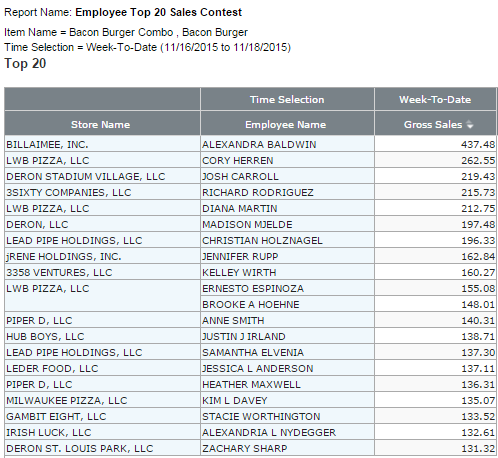 A sales competition among employees is not only good for their paychecks but also for your bottom line. Many restaurant companies offer an upsell competition on drinks, desserts or side dishes. By motivating your staff with incentives and identifying top performing employees you can gain greater insight on how to increase profits and keep everyone satisfied. Happy employees are sure to work harder to make the customers happy. Running weekly promotion analyses at your stores, to track best-selling items and the success of your promotions will also help improve customer satisfaction, based on preferences. Simultaneously, you can discontinue the promos if you discover that they are affecting your bottom line in a negative way. In order to understand if your promotions were profitable, you not only need to look at the sales that contained the promo item but you also need to factor in your food and labor costs. Merging all of this information can help you get better insight into your campaign's success. 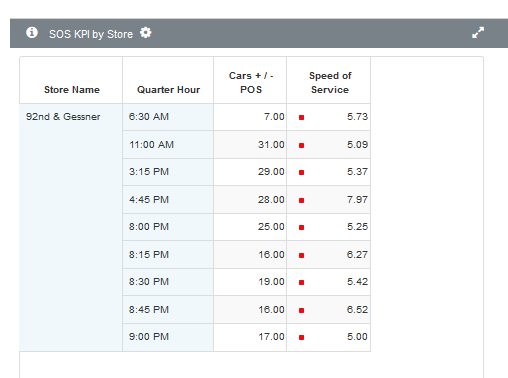 Additionally, you can see performance trends amongst all of your locations. If some stores had more success with the promos than others, you can dig deeper to find out why and figure out how to help those stores that underwhelmed increase success with the promos. 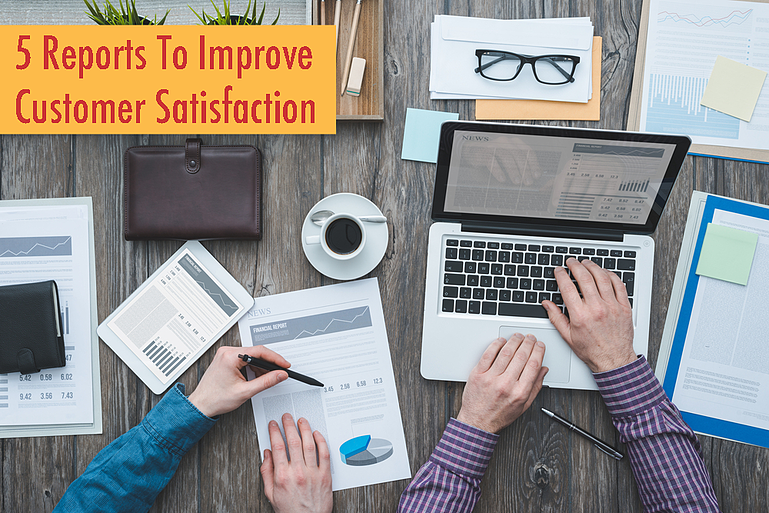 These five reports can help you improve customer satisfaction and increase your restaurant profits. Looking at the details can help you understand the bigger picture. The more information you collect from all of your systems, the better your analysis and restaurant performance will be. Once you understand how your restaurants are doing, you can leverage that information to raise the level of execution and perfect the areas that need improvement. If you liked this content, check out this PDF on "3 Basics to Harnessing Restaurant Big Data". What reports do you count on for customer satisfaction? Mirus is a multi-unit restaurant reporting software used by operations, finance, IT, and marketing. If you enjoyed this blog, please share this post by using the social buttons at the top of the page and make sure to leave your thoughts in the comment section below! Since 1999, Mirus has been used by Operations, Finance, Marketing, and IT. © Copyright 1999-2019 Mirus. All Rights Reserved.